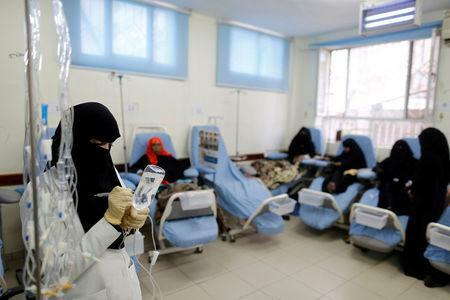 The conflict between the armed Houthi movement and a Saudi-led military coalition has killed over 10,000 people and triggered a slow-motion economic collapse, forcing health staff to work without pay and undercutting patients' ability to afford their own treatment. "There are no pensions any more, how are we supposed to pay?" pleaded Mohamed El Shamaa, a gaunt leukaemia patient, reclining limply as he received chemotherapy via an intravenous tube. "Most people seek charity - some give and others say they can't help. Now, some people seek help from mosques. I'm one of those people," he said. With the Iranian-allied Houthis controlling the main population centres, imports of badly needed food and medicine have been hampered by the Saudi-led coalition's near-blockade on one of the country's main ports, Hodeidah. Medicine shelves at the oncology centre are bare, and desperate patients have to scour the black market, according to the facility's vice president, Abdelwahab El Nahmy. "Since the fourth quarter of 2016, we ran out of all the medications we have in storage and the patients now suffer from lack of availability and are forced to search for it in the local market for higher prices." Official funding meets only 30 percent of the centre's needs, El Nahmy said. 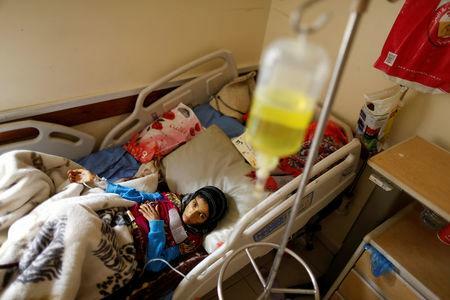 "Currently more than 14.8 million people lack access to basic healthcare, with less than 45 percent of health facilities still functioning," said Rick Brennan, director of Emergency Operations at the World Health Organization. "Health care workers have not received their salaries regularly for about six months. 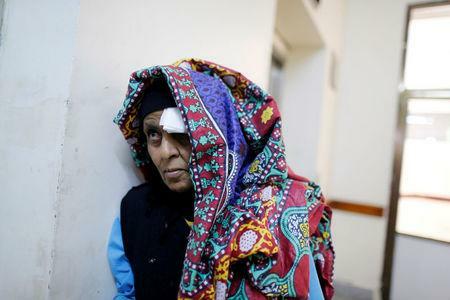 Medical supplies are in chronic shortage," he added. "Many Yemeni people die in silence and are largely unaccounted for, unnoticed and unrecorded."